Asking Alexandria have just dropped a pretty spectacular acoustic version of their single 'Alone In A Room'. 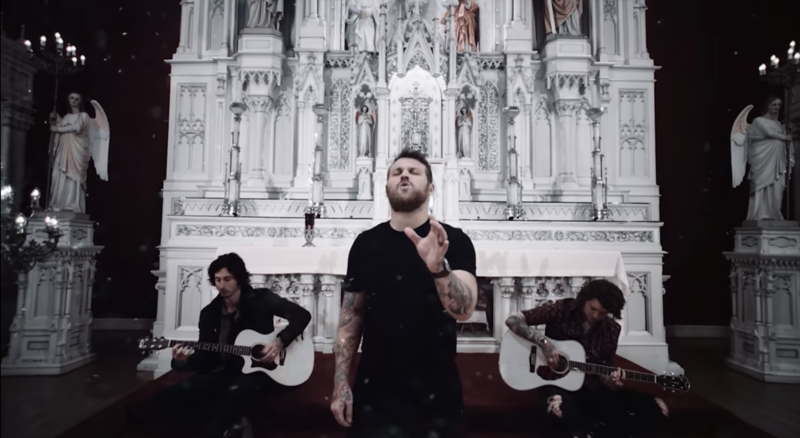 The track and accompanying video is to celebrate 'Alone In A Room' breaking into the top 10 on American radio this week, shares Asking Alexandria guitarist Ben Bruce. Says Ben: "In celebration of 'Alone In A Room' smashing into the top 10 at radio this week we decided to record a video for our acoustic rendition of 'Alone In A Room'! This has been such an incredible album cycle for us so far and we have barely even started! Thank you all so much for your love and support. This is for us, this is for you! We love you!"